You better watch out, you better not cry, you better not pout, I’m telling you why; Christmas is coming…and SOON! Get your home ready for the holidays with these fresh farmhouse Christmas ideas. I love the look of mercury glass combined with barn wood, twinkling led lights, pice cones, and evergreens. 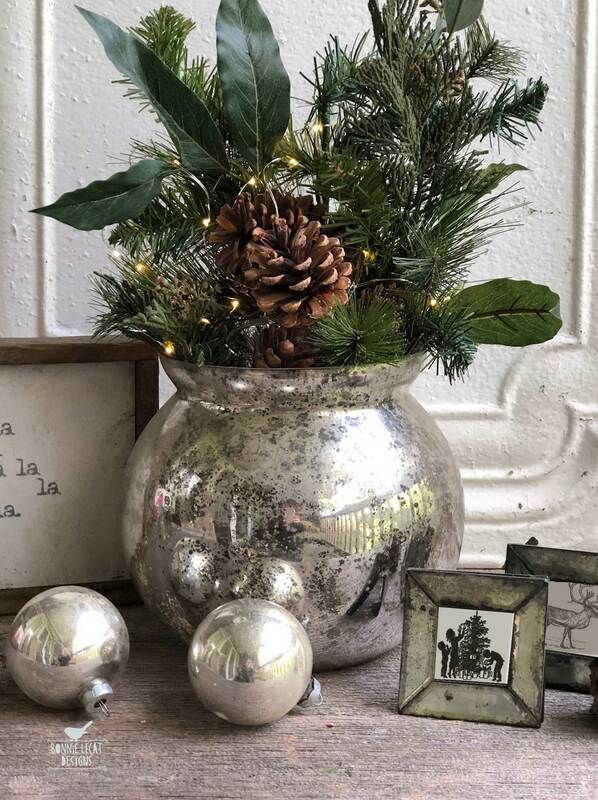 Add some vintage mercury glass ornaments, vases, frames, and votives for a touch of antique sparkle on your tree, fireplace mantle, or tablescape. Introduce some natural textures. Nothing says “farmhouse” like barn wood! 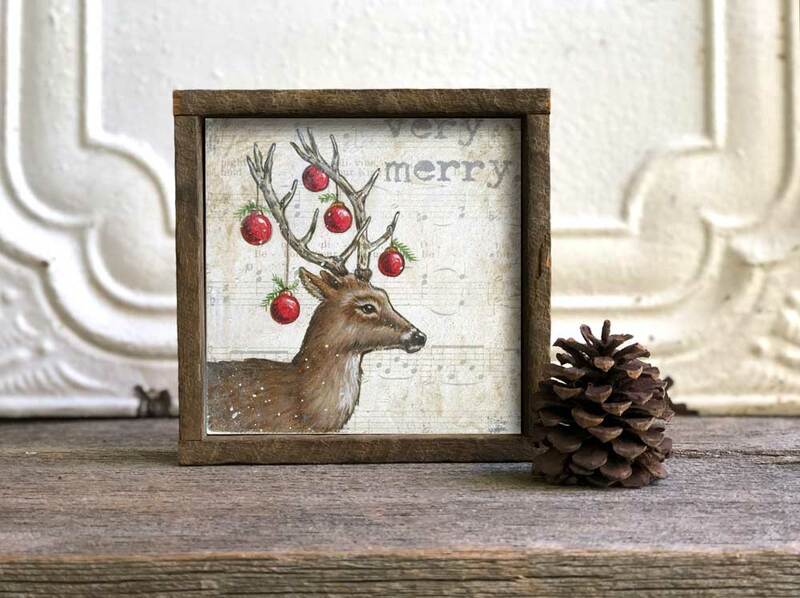 A reclaimed barn wood frame looks great around your favorite Christmas art print! 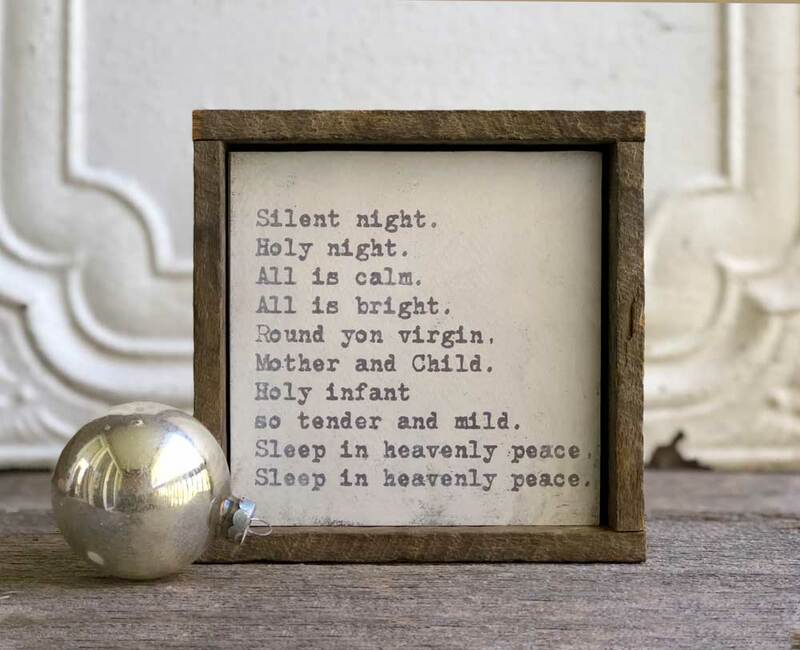 This framed silent night Christmas print will be an instant family favorite! The fresh and uncomplicated look of white and gray with barn wood is a hallmark of farmhouse style. BONUS: It makes a perfect color scheme for winter! 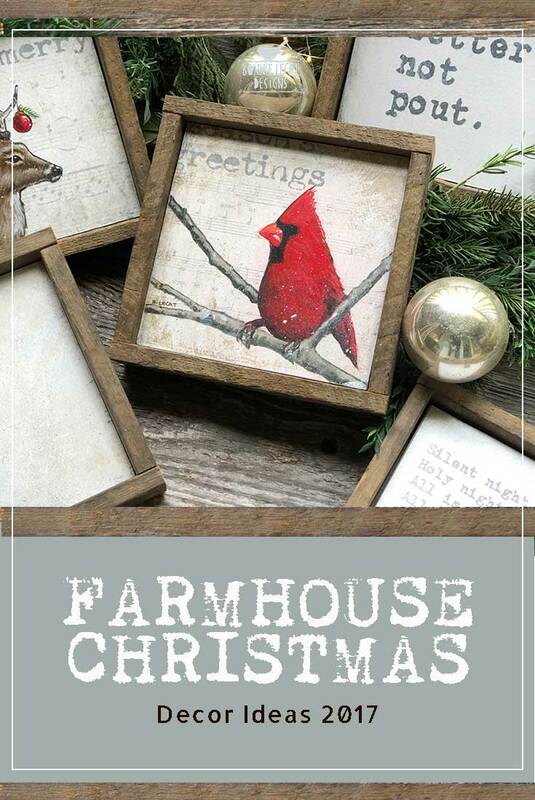 You can check out my new “Simple Farmhouse Christmas” prints here. 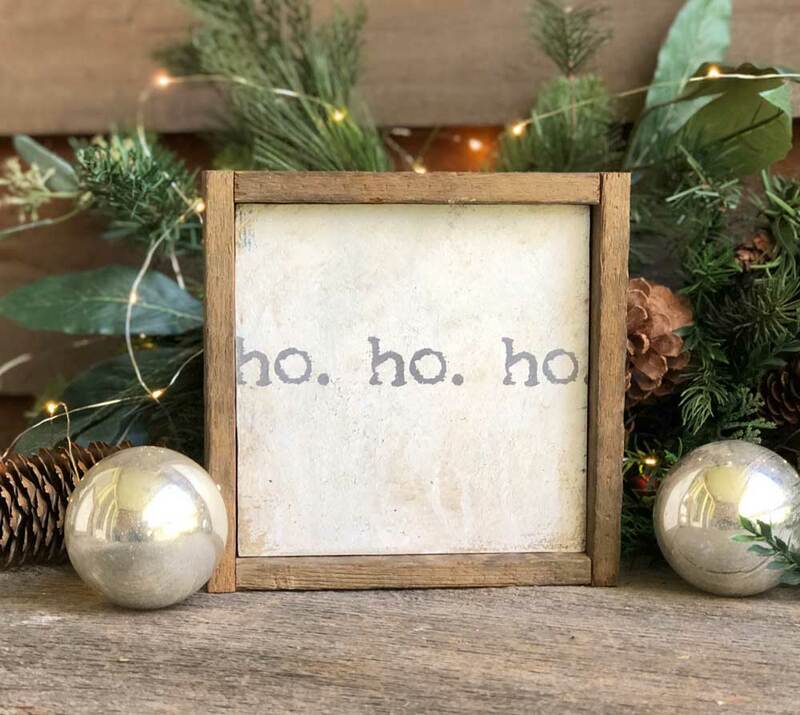 This fun “ho ho ho” Christmas wall sign is sure to bring a smile to your face! 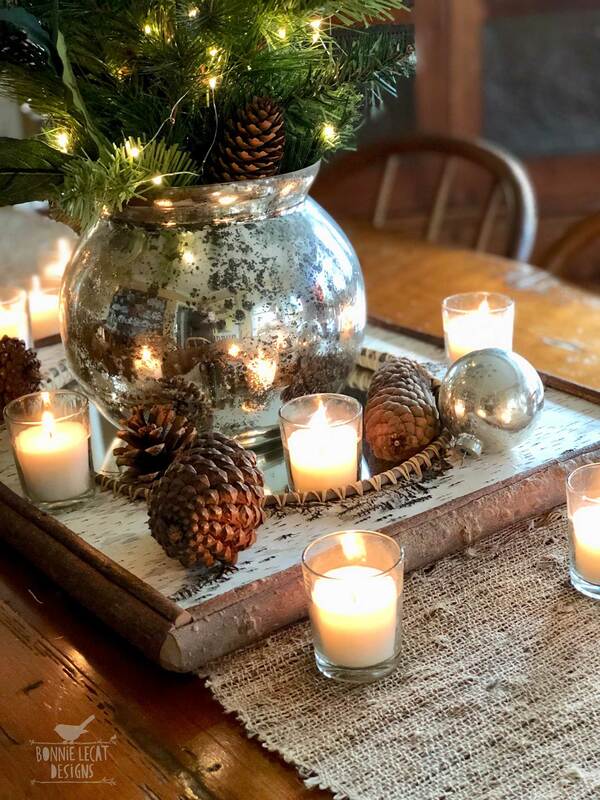 Bring the outdoors in and add some pine cones, evergreen boughs, and birch bark to your decor for a rustic and natural farmhouse look! 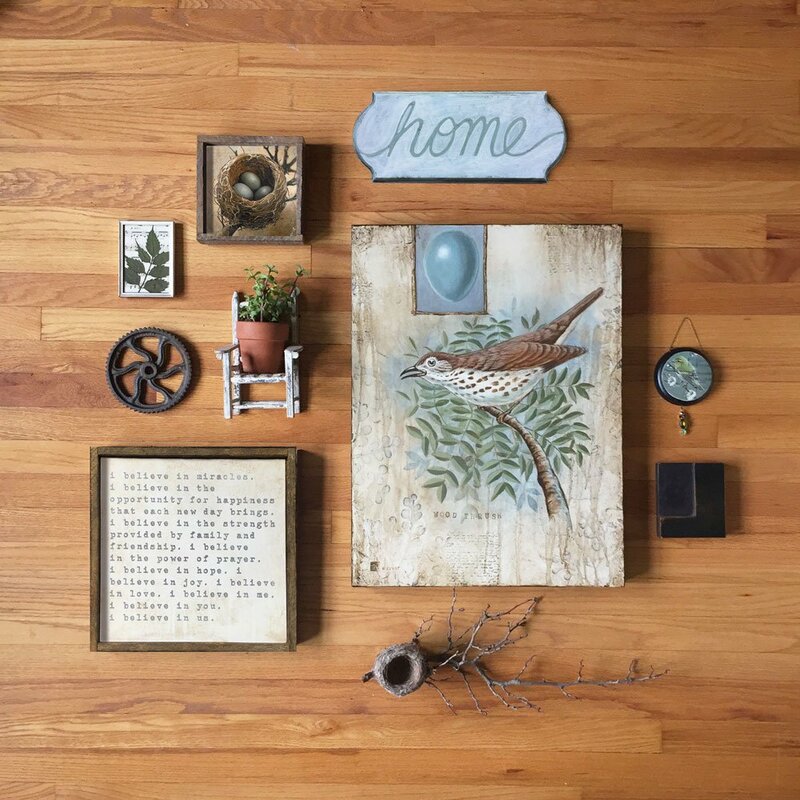 Pull it all together and have fun creating your own farmhouse style gallery wall displays, fireplace mantles, or unique Christmas themed tablescapes. Combining texture and sparkle will make a unique centerpiece for your holiday tablescape. How are you planning to update your Christmas decor this year? Leave a comment below and let me know. Merry Christmas and happy decorating!